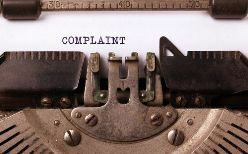 How to Write a Complaint Letter to a Credit Reporting Agency | The Consumer Law Group, P.C. Provide identification information. Put your name, current address, and last four digits of your social security number at the top of the letter. If you have a credit report reference number, include that as well. Clearly identify the mistake. Provide details of the account or other entry that does not belong, using dates, numbers and a description. Be brief and to the point. Your letter does not need a lot of explanation or background. The person processing the request will only have a few minutes to spend on it, so get to the point quickly. Type the letter. The letter should be easy to read—typing it is your best option. Don’t quote Fair Credit Reporting Act laws. You don’t want the agency to think you are being coached by a credit repair firm, so don’t reference laws. The agency is well aware of what the law requires. Include proof, if you have it. If you have proof of your claim, send a copy of the document to the agency with your letter. If you don’t have this, don’t worry about it at this point. Proofread! Carefully spell-check and proofread your letter or have a friend look it over. You want to come across as professional and serious and errors can detract from that. Attach documents. Attach any documents you have that prove that the credit report is wrong. Send your letter via certified mail so you have proof that it was received. If the letter is not saved on a computer hard drive, make a copy and keep it in a file. Keep copies of any responses you receive as well. Often, a well-written letter is all it takes to fix the mistake on your credit report. If this is not the case for you, however, contact The Consumer Law Group. We can help you with the next steps to clear up the mistakes and get your credit score back where it should be. Don’t hesitate—call as soon as you realize you are not going to be able to fix the problem yourself.